When is the best time of year to visit Portugal? Portugal’s terrain is extremely varied, from mountainous desert to the Atlantic shores. With this in mind, different areas may be “best” at different times of year. 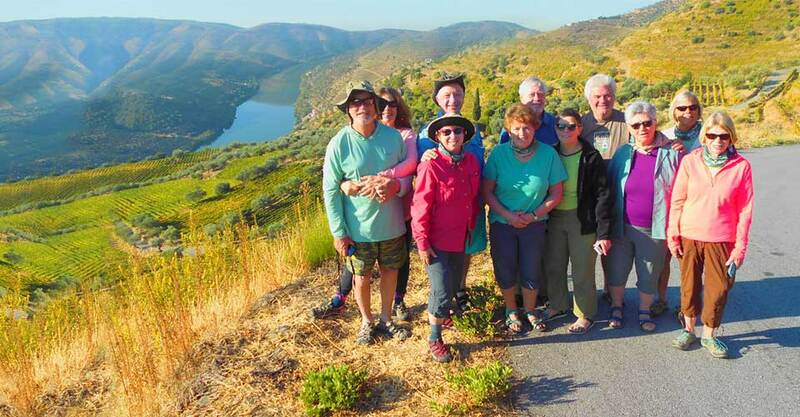 In the Douro region, along the Douro River, June through September mark the typical visitation times, However, in the eastern portion there are not typical visitation times as the area receives very few visitors. July and August are warmer on the river, while June and September, and to an even greater extent October, are a bit cooler. In the beginning of the summer you’ll find dry, sunny days and blossoming hillsides surrounding the valley, with the Douro River flowing a bit faster. The trips in September and October are quiet and relaxing, and as you paddle the calm river you’ll witness the busy harvest season in the vineyards. What is the weather like in Portugal? Portugal’s Douro River Valley is remarkably green and warm in June, during Nat Hab’s first expeditions of the year. Temperatures range between 65°F and 90°F throughout June, and warm, sunny days are common. Mornings and evenings are slightly cooler with temperatures in the 50s and 60s. In the midsummer months, temperatures average 58°F to 77°F. September and October remain comfortable and mild, ranging between 52°F and 75°F. Water temperatures vary but usually hover between 70°F and 75°F. Expect light winds and potential rain showers at any time. What is the nature and wildlife viewing like in or around the Duoro River Valley? On our late summer and fall trips, we paddle through the Douro International Natural Park, which forms the border between Spain and Portugal. Here we are likely to see numerous bird species, including the Eurasian griffon and Egyptian vultures that love soaring above and nesting on the cliffs. All along the valley and river, on any of our trips, we are likely to spot and listen to many other birds, including eagles, herons, swallows and warblers. The region has other animals, too, including roe deer, wild boars, otters, hare and possibly a few packs of Iberian wolves, though the likelihood of seeing those would be very low. What will the food be like in Portugal? Portuguese food is similar to other Mediterranean cuisines in which garlic, olive oil, and various herbs are used in most dishes. Breakfast typically consists of fresh bread and fruit preserves, ham, cheese and eggs. Lunch and dinner will often include traditional fish and seafood recipes unique to the region, including bass, cod, clams, squid and crab. Poultry, cheese, vegetables, and starches such as potatoes and rice are also common staples of Portuguese cuisine. And, of course, Portugal is known for its incredibly wide array of signature wines. Special dietary needs can be accommodated easily on this trip. What wines is the Duoro Valley most famous for? The upper Douro is a World Heritage Site based because wine growers have been growing grapes in the valley for nearly two thousand years! 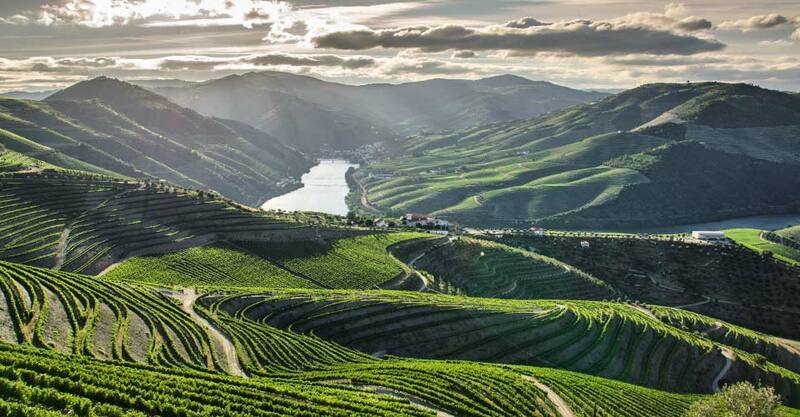 The Douro River Valley is known for port wines, and we’ll try plenty on our trip. There are also fabulous whites, reds and rosés in the region, and we will enjoy these during meals along the river and at our lodgings. Is wine included on this Portugal trip? When we’re not busy paddling, we’ll be sampling some of Portugal’s finest wines on our visits to the expansive estates of the Duoro River Valley. All of the wine we’ll enjoy is included in the price of the trip, but additional alcoholic beverages are not. Even if you are not a wine enthusiast, you will still enjoy the activity, food and culture of this adventure! Will there be an opportunity to meet with locals in the Duoro Valley? At every accommodation along the way we’ll have opportunities to interact with our hospitable hosts who are locals in the area. They are incredibly knowledgeable about the history and culture of the area, and they are happy to share. 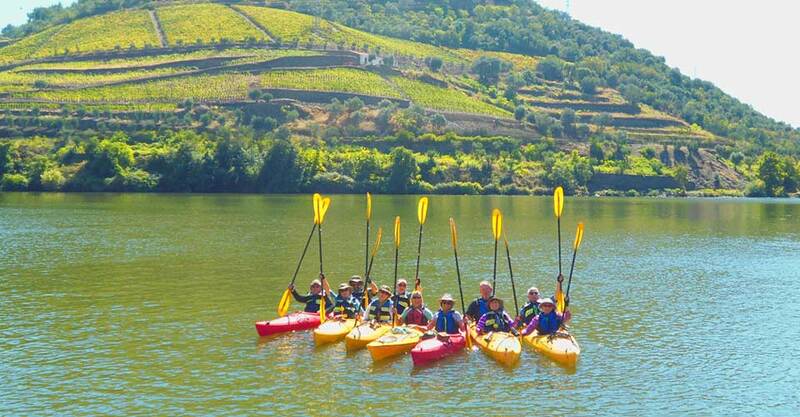 What type of kayaks are used on this Portugal adventure? The kayaks we use to traverse Portugal’s “River of Wine” will be a mix of single and double hardshell polyethylene vessels with rudders. These crafts are stable, comfortable, durable and move through the water quickly and with ease. What clothing should I pack for a Nat Hab Portugal trip? Casual, lightweight clothing, swim-wear and quick-dry fabrics will be appropriate for the majority of this trip. Paddling gloves, sport sandals, a brimmed sun hat, quick-dry shirts (some long-sleeved to protect you from the sun), and a lightweight rain jacket are also essential for our kayaking excursions. Some guests may prefer to pack slightly dressier clothing for some accommodations. Check out Nat Hab’s online Gear Store for some of the key items recommended for your adventure. Nat Hab rates the physical requirements of this trip as “moderate to difficult.” We paddle four to five hours some days, though we travel at a leisurely pace. Although no paddling experience is necessary, travelers must be prepared for the physical strain of sustained paddling on calm waters. Optional hikes through historic sites are also available, which last from one to three hours in length. Please click here for further details of the physical requirements of this trip. How many hours a day will we be kayaking? This Portugal adventure includes five days of beginner-level flatwater river kayaking for about four to five hours a day. Will there be any rapids or whitewater on the river? Or is the water calm? There will not be any waves, rapids or whitewater on the Duoro. The water we’ll be kayaking is calm and has only a slow-moving current. The most difficult kayaking on this trip may be if we encounter strong winds, but the water itself is placid and easy to navigate. Do I have to be a good kayaker for this trip? What if I have never kayaked before? All of the kayaking on this adventure is on slow-moving water with no waves or current, so any level of kayaking ability is appropriate. Even with no kayaking experience, our helpful guides will ensure you feel comfortable on the water. Bring an adventurous spirit and a willingness to participate in long days of kayaking, and you’ll be completely capable of participating on this itinerary. What are the hotels like on Nat Hab Portugal trips? On our Portugal trips we stay in casas and quintas, which are country estates known for their hospitality, comfort and picturesque locations amid the mountains, vineyards and rolling hills. Expect various amenities, comfortable areas to relax and chat with fellow guests, and friendly staff. You’ll enjoy breathtaking views, delicious local food, and rich wine from the comfort of these unique accommodations. What is the currency of Portugal? Can I exchange money while I'm there? The Euro (EUR) is the official currency of Portugal. Click here to check the current exchange rate for US dollars to EUR. Exchanging money at accommodations on this trip is not always possible, so we recommend doing so in your home city or at the Porto airport before your trip begins. It’s a good idea to have sufficient cash on hand for gratuities, incidentals and souvenir purchases. Complimentary Wi-Fi will be available at most accommodations we’ll stay at, though cell phone service will be limited. Nat Hab discourages phone use during group activities and encourages guests to “unplug” from technology to fully enjoy the immersive travel experience. Is this Portugal trip appropriate for children? Can Nat Hab take our family or a group on a private version of the Portugal trip? What is the best way to get to Porto to meet the group? Guests are responsible for booking round-trip flights from their home city to Porto, Portugal. We recommend that you use Natural Habitat Adventures’ Travel Desk, as our Air Travel Specialists are intimately familiar with the requirements of our trips and can arrange the most efficient and cost-effective travel into Porto. Please check the Getting There & Getting Home section on the Dates, Prices & Info page for details on required arrival and departure times for this adventure. Will there be free time in the itinerary to explore Porto? On the first and last days of our itinerary we’ll have a brief chance to explore Porto and its rich combination of Roman, Gothic, Baroque, Neoclassic and Renaissance architecture. However, many guests elect to add a day in the city before or after the trip. There is a lot to see and do in the area, so if you’re interested in a private, custom tour before or after the itinerary, we can help you arrange that. Can Nat Hab help me book a hotel in Porto if I want to arrive early? Nat Hab is happy to reserve a hotel room for you in Porto before your Portugal tour begins, but please note that pre-nights are subject to availability at the time of booking. Please speak with our Travel Desk if you’re interested in booking extra nights. Fill out the form below to receive additional information about our Paddling Portugal's River of Wine. Hi Nat Hab, I’m interested in your Paddling Portugal's River of Wine. Can you please contact me with more information?